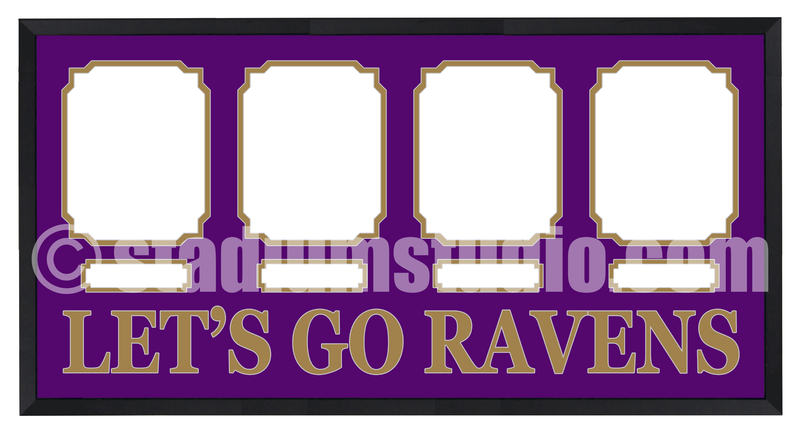 Order your Baltimore Ravens Customized Plaque today. Your team and your players delivered straight to your door. We’ll customize a 20”x40” frame to fit your team. This frame will have four 8”x10” photos and a quote of your choice (18 characters ONLY). 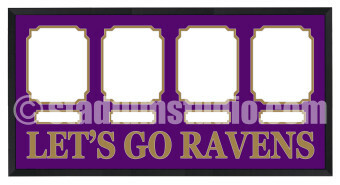 Classic quotes used are “Let’s Go Ravens”, the team font, team slogan, or our favorite “D-FENCE”. All you need to do is pick your 4 players AND quote in the options below. We will take care of the rest.